Lunch provided by schools need to be healthy, nutritious and tasty so as to attract young children. School canteens usually have a wide range of options to choose from, and most have menus which list the options. 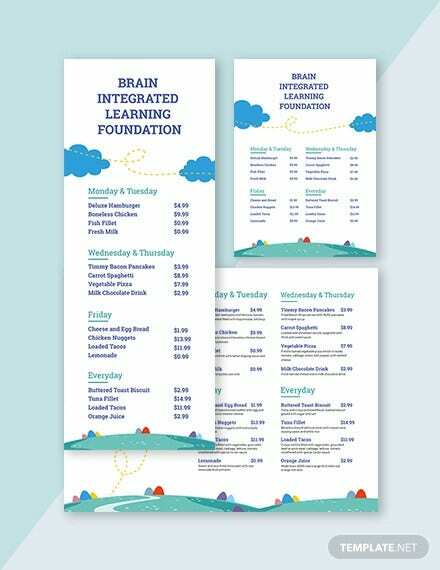 Your students can use this menu to order the meal of their choice. 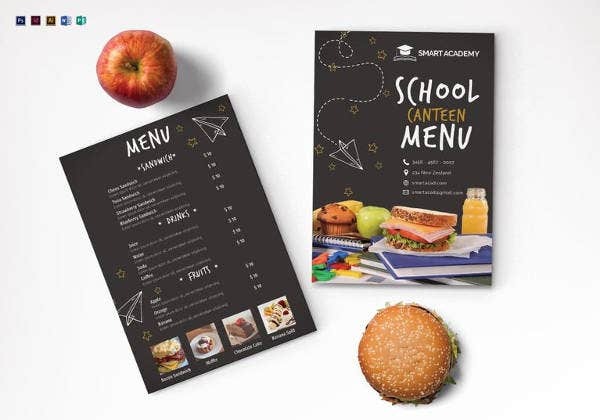 To create a school menu template, you must take a look at Free Menu Templates. 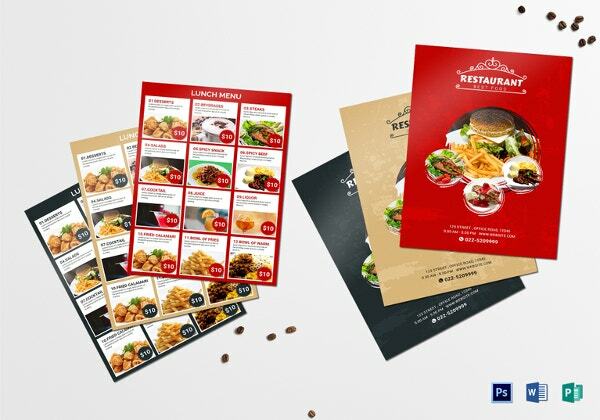 A Menu Templates Word will list all food items that are available in a neat, business like fashion so that students find it easier to understand. You just make it a point to keep it precise and concise, because let’s face it, all youngsters have a short attention span! 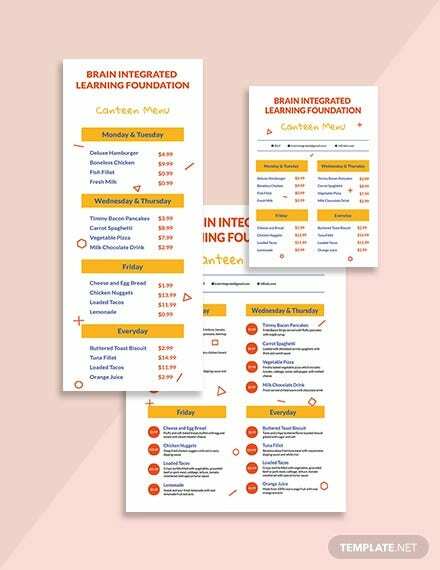 With this wonderful preschool menu template you can create a weekly menu to cover morning snack, lunch and afternoon snack. The template can be readily downloaded in Excel file format. 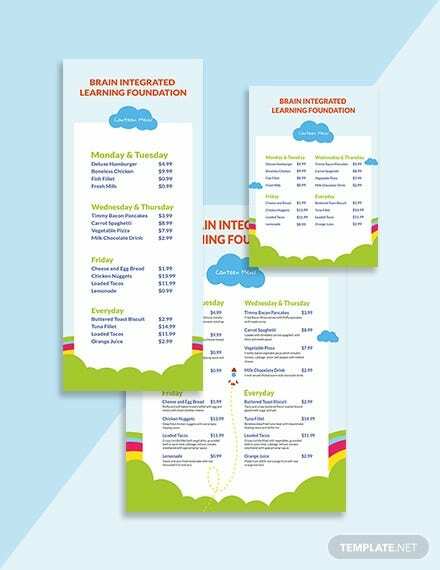 When planning for a high school graduation, this type of menu template can be of great help to you. It is created in a simple PDF template and is ready for download. 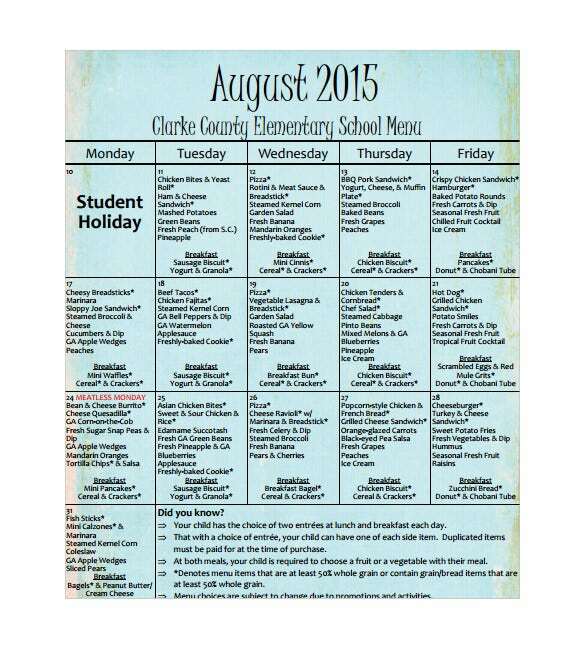 clarke.k12.ga.us | This school menu template is a very good option. The template is free for download and you can personalize as you will. The best part is that the template is pre-designed, you just have to fill in all the relevant information, and you’re good to take print and use it! In order to effectively manage the lunch box for your kid for the entire week, this menu template is necessary. The Word file format template can plan lunch, drinks and snack so efficiently. 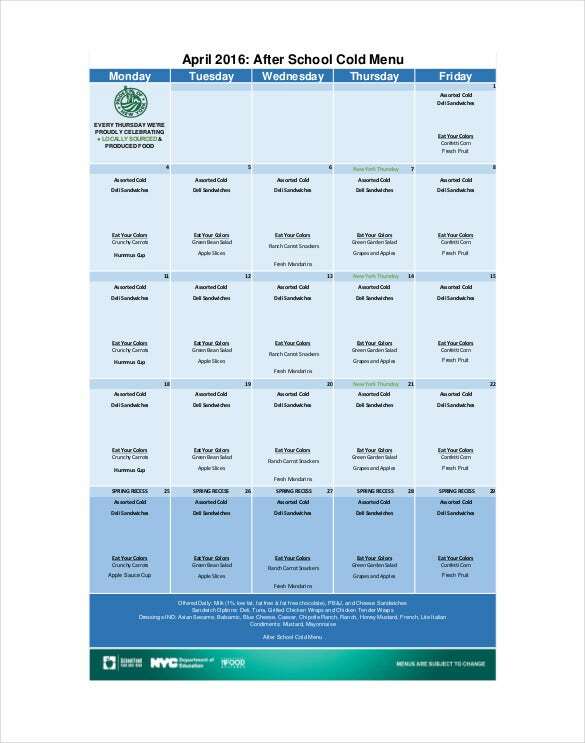 clarke.k12.ga.us | This Excel format school menu sample allows you to devise and build a menu for the whole month. If this is what you are after, this template is totally going to be serviceable. The design and layout is professional to the core, and as it is an Excel format template, download is very easy. 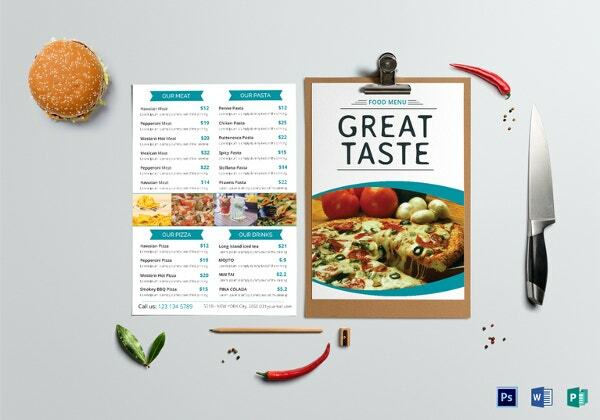 Our PDF menu template can be used for any restaurant intending to give the old school impression to the customers. Download the template today for free and make your menu. 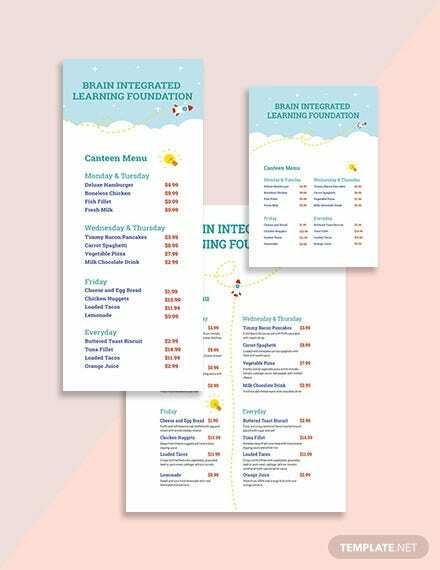 This fun school menu template can be used to bring some light into the menu. 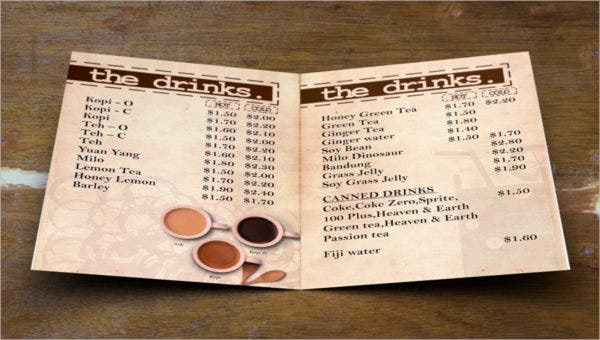 Available in printable PDF format, the menu template allows you to include a lot of items on the same sheet. 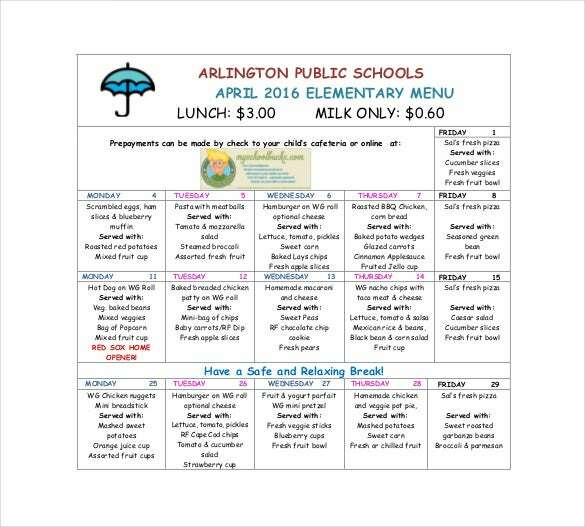 arlington.k12.ma.us | If you want to create a clearly understandable lunch menu for a school, this template can be of great help. 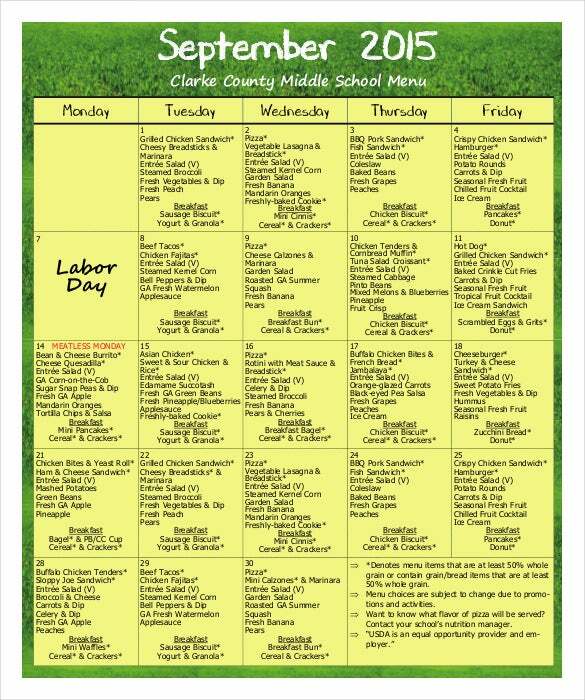 It arranges the dishes available for each day of the school month and can be downloaded in Excel file format. 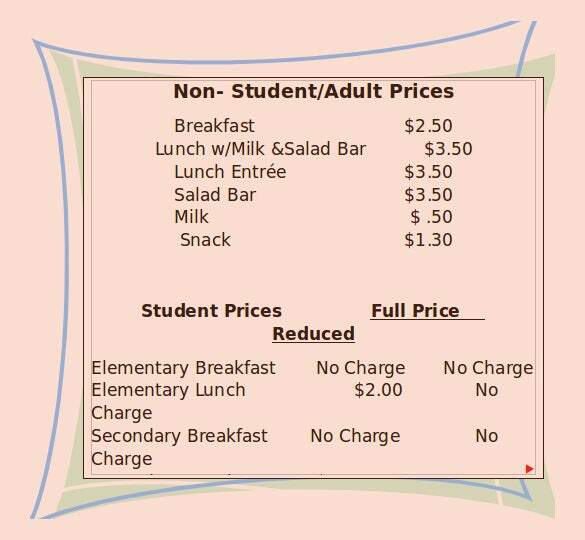 scusd.edu | This simple menu template can be used to create a school menu price list. It carries just a few items and gives the prices for both students and the full price. Get it in PDF format. 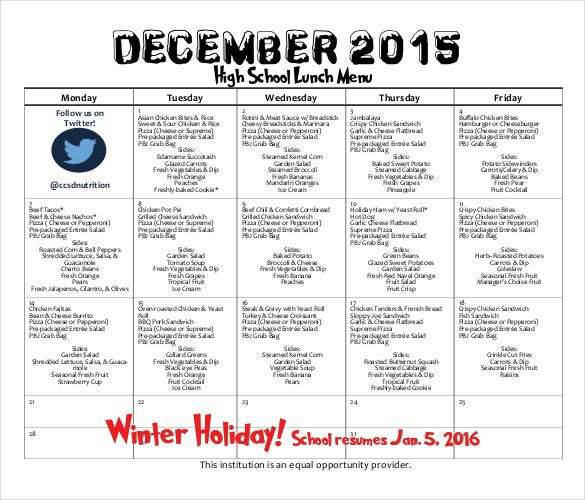 schoolfoodnyc.org | With this afternoon school menu template, it is easy to create a menu for the whole month. It does not take much time since it is available in an editable Word file format.